One of the greatest super foods on the planet is seaweed, and it is becoming widely recognized for serving as a significant source of several nutrients vital for good health for humans as well as animals – including pets, horses and livestock. Seaweed is organic and a rich source of micronutrients, amino acids, and trace minerals – which are essential for producing enzymes, which in turn promotes healthy body functions in animals. 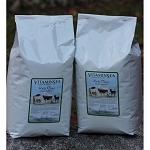 Unfortunately many of these crucial nutrients are often lacking in many pet foods, land-grown feeds, pastures and standard mineral mixes fed to livestock and horses. Since the minerals found in seaweed are plant-tissue-based, they are more easily digested by animals than many traditional feeds. 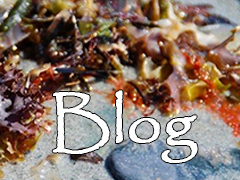 As a result, leading animal care and holistic professionals are increasingly recommending seaweed to improve overall health, performance, and well-being in animals. One variety commonly used in seaweed-based animal supplements is kelp. It is rich in macro- and micro-nutrients as well as iodine, which is important for a properly functioning thyroid. Swine, poultry, sheep and goats can also benefit from consuming seaweed supplements. 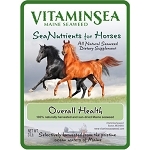 VitaminSea Seaweed creates a variety of products designed to improve health and functioning for pets, horses and livestock. All of the seaweed for our animal products is carefully selected from the outer islands off the coast of Maine, dried in greenhouses, and milled separately from out fertilizer-grade seaweed, following strict quality-control guidelines. Order one of our many seaweed supplements today and watch your pet, horse or livestock thrive! Bone and Joint Health, 3 lbs. Bone and Joint Health, 10 lbs. Large Animal Kelp Chips, 25 lbs. Large Animal Kelp Chips, 50 lbs.